Give your Good users the easiest and most secure way to print from all their devices to any corporate or home printer. Your users will never have to rely on their workstations for printing! Breezy was the first ever printing solution invited to join the Good Dynamics program early in 2012 because customers using Good Technology were looking for a way to print, and Breezy was the most secure solution in the market. This led to the partnership that gave security conscious customers an easy, secure, and reliable way to ensure that data stays secure as it goes from mobile to printer paper. Our technical partnership has since grown to include make some unique features available to Good customers and Breezy is the default print service for Good Dynamics. We continue to deepen our integration to make workflows easier, while increasing mobile security. Single-Sign-On (SSO): Breezy for Good app auto-detects Good on the device and enables the user to securely sign-in with their Good passcode. 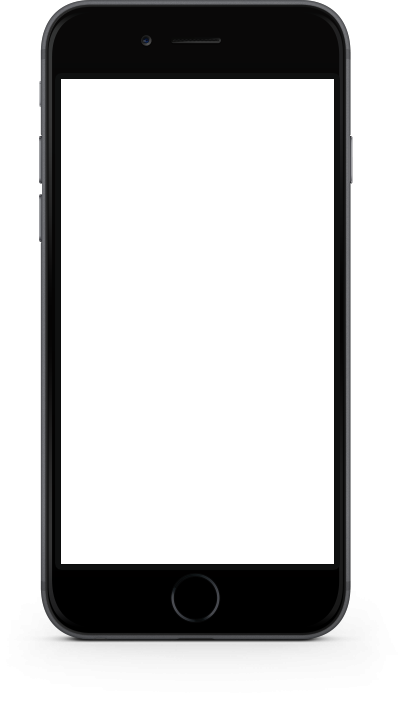 Few clicks: Clicks matter on mobile and our app allows users to print with just a few clicks. Easy to deploy: Breezy can be easily deployed using Good Dynamics' console, so your users always have print capability close at hand. Breezy was designed from the ground up to be secure. User data is protected at all times, both in transit and at rest, using industry leading, AES-256-CBC encryption—and Breezy’s integration with Good ensures that data never leaves the secure container on your device during the print process. 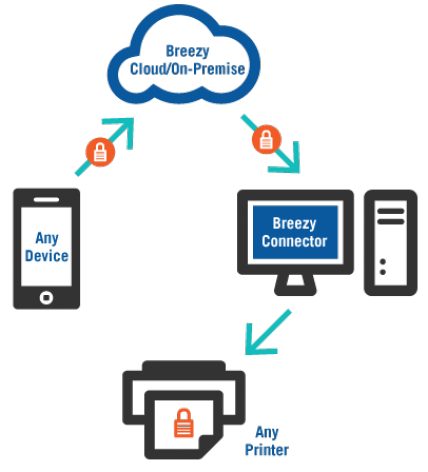 On-Device Encryption: Breezy is the only solution that encrypts files on the mobile device before securely transferring the files to the selected printer. DLP Policy Control: IT Admins can enforce Good Dynamics DLP, security, and authorization policies to control what users can share, edit and print. Print Job Logging: Detailed reporting shows who is printing, which documents, and to which printer. Meets Compliance Requirements: Whether it's HIPAA, FINRA, FERPA or other standards, our encryption and security control can comply with these requirements. Breezy uses software-defined printing so that companies and IT admins don't have to purchase new printers or hardware, risking obsoletion with the introduction of new devices. By leveraging existing print servers in your environment, Breezy makes it easy for you to give your users a scalable and reliable way to print to all your corporate printers. Cloud, Hybrid, or On-Premise: We make a variety of deployment options available to work hand-in-hand with your network and seucrity policies. Printer Agnostic: Mobile-enable your existing enterprise print infrastructure, regardless of printer manufacturer. Network Agnostic: Print utilizing corporate, home, or guest Wi-Fi or cellular network. Pull-printing: For additional security and cost control measures, Breezy integrates with leading pull print authentication partners like Equitrac and Follow-me. True mobility means the ability to do your work from anywhere, whether commuting, working from home, or with a customer. Breezy has designed our Cloud and On-Premise environments to give users limitless ability to print, with thousands of secure public print locations available to your employees via the Breezy Partner Network.